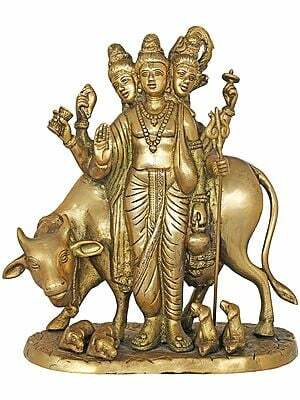 Dattatreya was the son of the great sage Atri and his wife Anusya, one of the paragons of chastity in Hindu mythology. 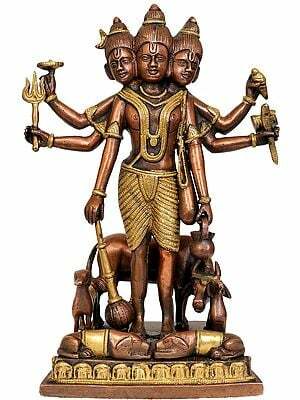 The soma plant of Vedic rituals is said to have been his creation. 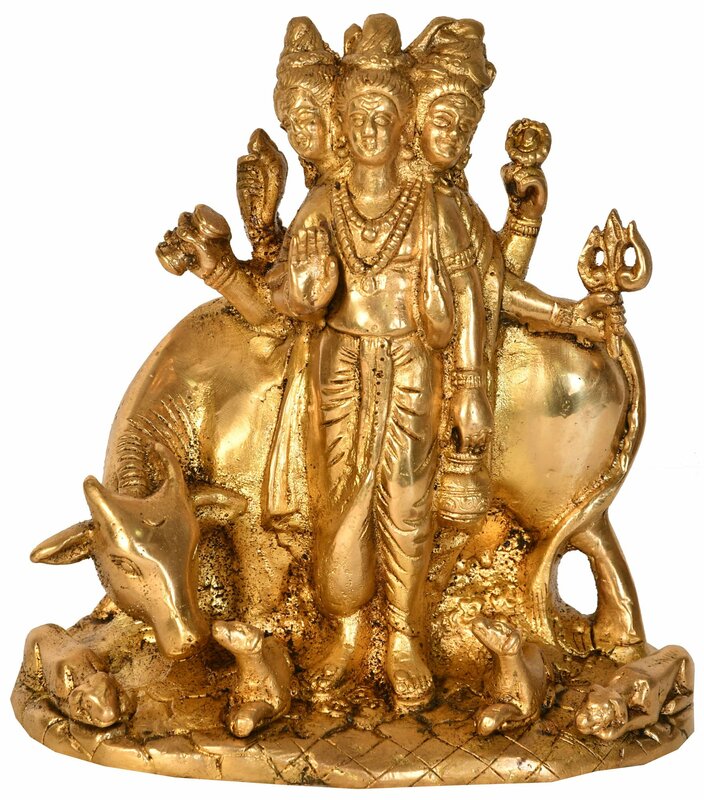 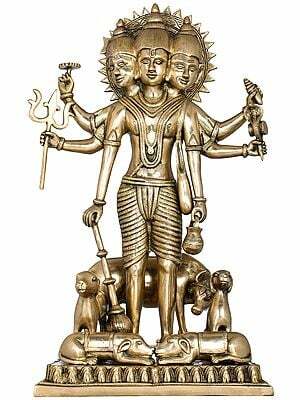 Dattatreya has three heads, symbolizing Brahma, Vishnu, and Shiva. 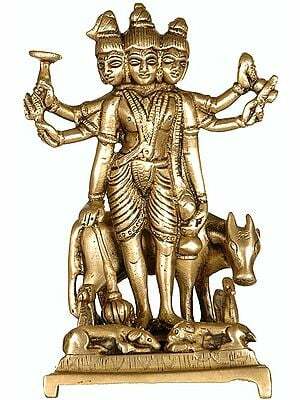 Indeed some believe the Dattatreya concept to be an amalgamation of these three primary deities of Hinduism. 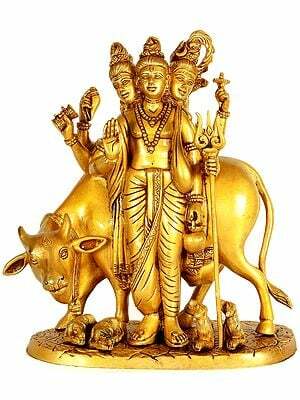 Specifically Dattatreya is said to be associated with people of low birth whose teacher he is said to be. 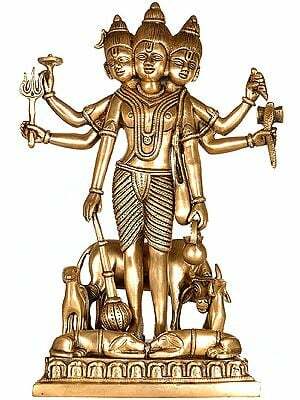 According to orthodox thought this would have made him ritually impure but learning and enlightenment elevated him to a stainless level of purity. 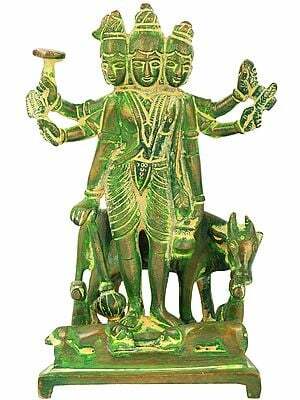 Iconographically he is shown accompanied by four dogs and a cow. 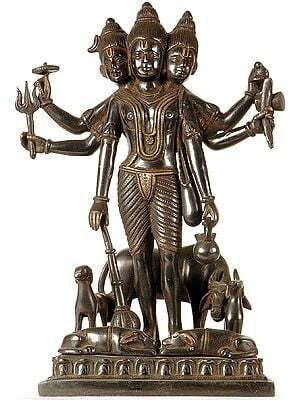 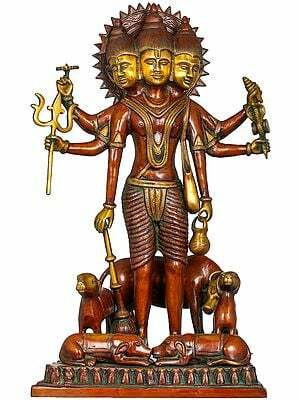 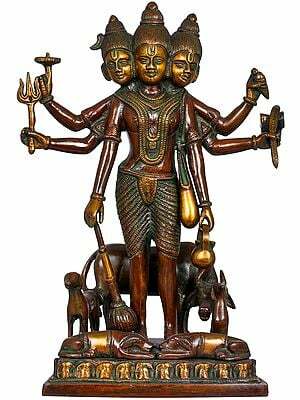 In his six hands he holds a conch shell (sankh), drum (damaru), water vessel (kamandala), discus (chakra), trident (trisula) and a mace.